WHAT IS THE EPISCOPAL PEACE FELLOWSHIP [EPF]? 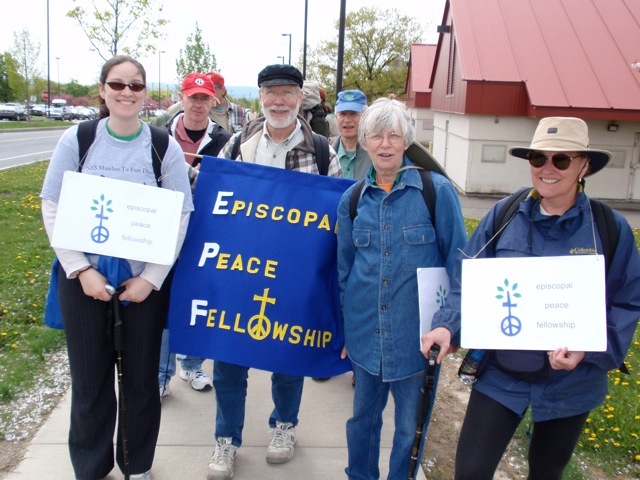 The Episcopal Peace Fellowship (EPF) is a national organization connecting all who seek a deliberate response to injustice and violence and want to pray, study and take action for justice and peace in our communities, our church, and the world. This ministry is called to do justice, dismantle violence, and strive to be peacemakers. The Ithaca Area EPF Chapter has a decades-long history of local activism. Members are drawn from four area parishes, under the leadership of convener, Nancy Siemon. The Chapter meets once a month at St. John’s Church.The Chapter sponsors prayer vigils, anti-war witness, Offerings of Letters to state and national law-makers, as well as other public advocacy/educational actions. We sponsor an informational booth each year at Diocesan Convention. We always welcome new members! work with the New York State Prisoner Justice Network advocating for state-wide reforms in parole policies, abolition of solitary confinement, and programs to assist reentry for those released from prison. Care of Creation: advocacy for responsible state and local policies for environmental justice, with a special focus on food security. collaboration with the local chapter of Jewish Voice for Peace on behalf of a just peace in Israel/Palestine and peace with Iran. advocacy for sane gun laws. EPF Commitment In loyalty to the person, teaching, and Lordship of Jesus Christ, my conscience commits me to God’s way of redemptive love: to pray, study and work for peace and justice, and to renounce, so far as possible, participation in war, militarism, and all other forms of violence. In fellowship with others of like mind, I will work to discover and create alternatives to violence and to build a culture of Peace. 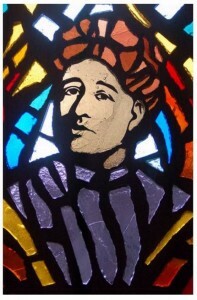 As a member of the Holy Catholic Church, I urge the Episcopal Church in accordance with our baptismal vows, “to renounce the evil powers of this world which corrupt and destroy the creatures of God,” and to wage peace across all boundaries, calling upon people everywhere to repent, forgive, and to love. Where: St. John’s Episcopal Church When: Dec. 31 from 4:00 to 4:25 pm. Join us as we leave behind the old and pray in a New Year of Peace and Justice for All. 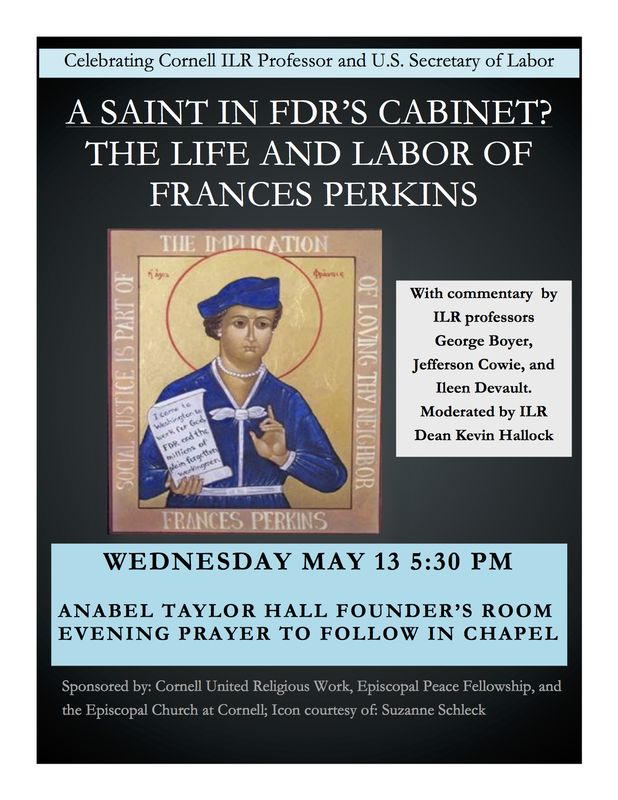 A Celebration of the Legacy & Feast Day of Frances Perkins: The Episcopal Church named Frances Perkins as a holy woman and added her to the calendar of Lesser Feasts and Fasts. An assistant to former New York Senator Robert Wagner (1927-1949) regarded Perkins as the “one person…above all others… responsible for there being a Social Security program.